The Estes Alpha III Bulk Pack is a E2X series kit (Easy to Assemble) that comes in handy 12 packs. 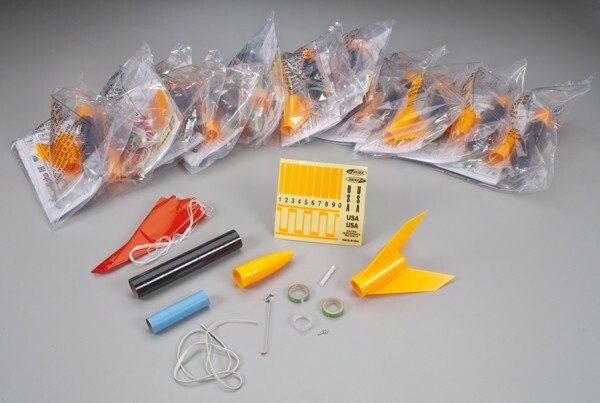 This a great kit for groups as it easy to assemble and flies great! Pre-colored nose cone, body tube and fin unit is easy to assemble and requires no painting. 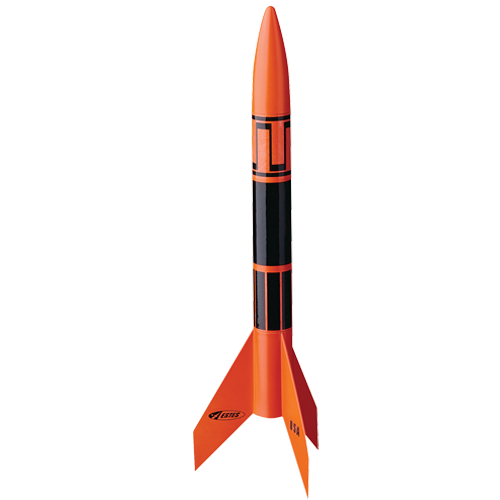 This rocket will deliver outstanding performance flight after flight. 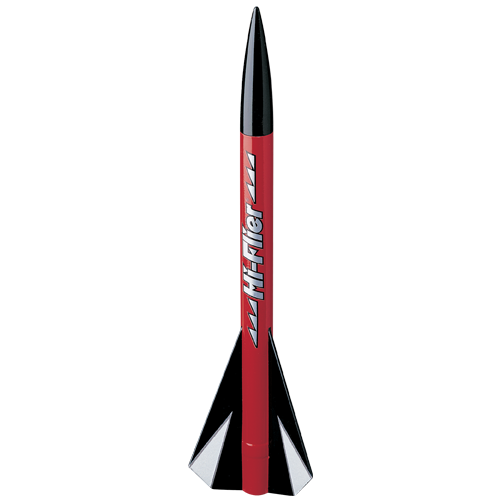 Rocket Dimensions: Length: 12.25 in. (31.1 cm); Diameter: 0.976 in. (24.8 mm); Weight: 1.2 oz. (34 g); Recovery: 12 in. (30 cm) parachute; Maximum Altitude: 1100 ft. The Estes Alpha III Bulk Pack is great for educational and youth programs and saves you money over buying the kits indivigualy. 1/2A 6-2, A8-3, A8-5, B4-4, B6-4, B6-6, C6-5, C6-7 The Estes A8-3, B6-4 and C6-5 model rocket engines are also available in bulk for even more savings! 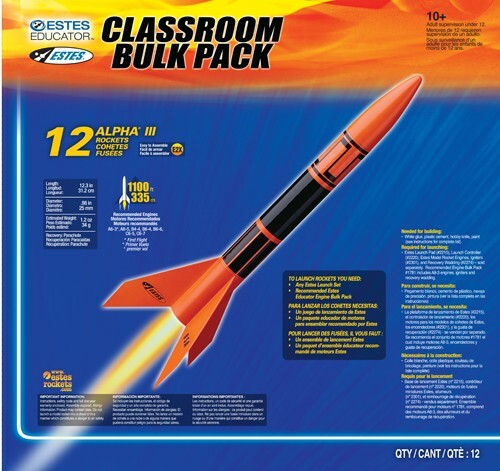 Estes model rocket bulk packs contain 12 model rocket Kits per Pack!